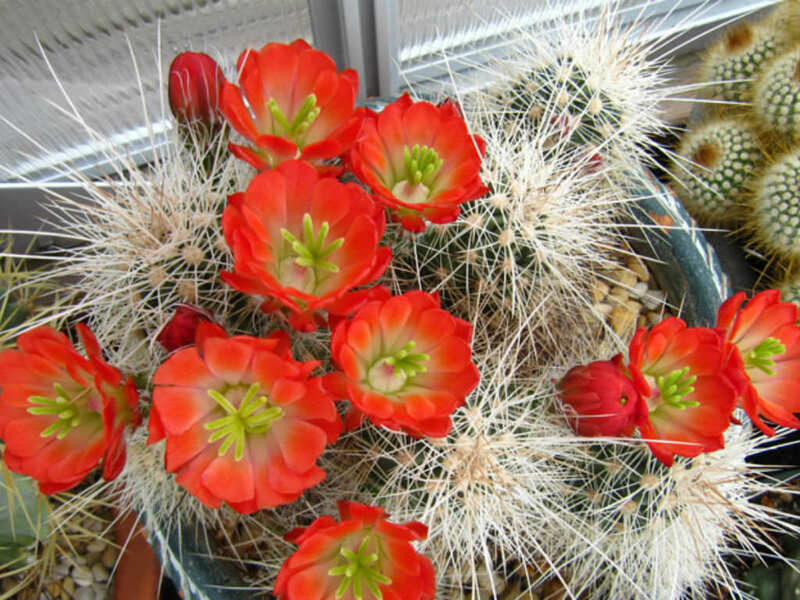 Echinocereus coccineus is a species of hedgehog cactus, usually clumping, it forms large colonies of up to 100 thick stems on each plant at maturity. 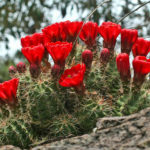 Stems are semi-erect, dark green, up to 16 inches (40 cm) tall, up to 2 inches (5 cm) in diameter and can vary from almost spineless to wildly and densely spined. 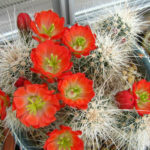 Spines are yellowish and turn grey after a number of years. 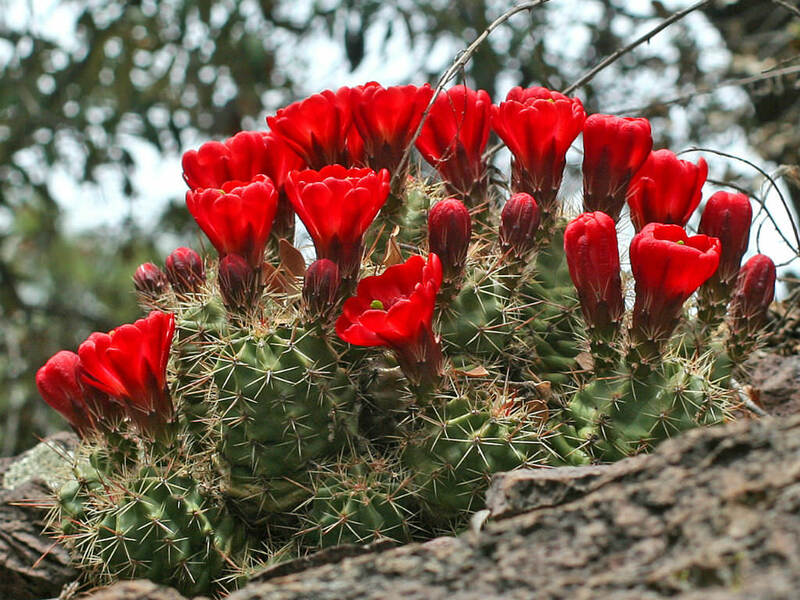 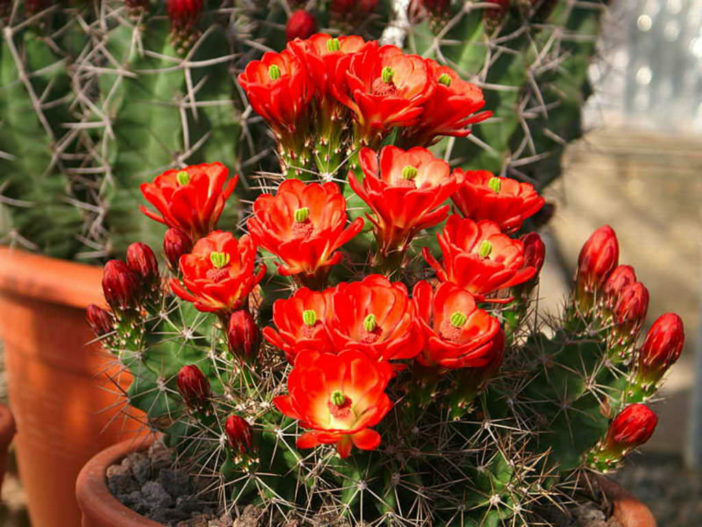 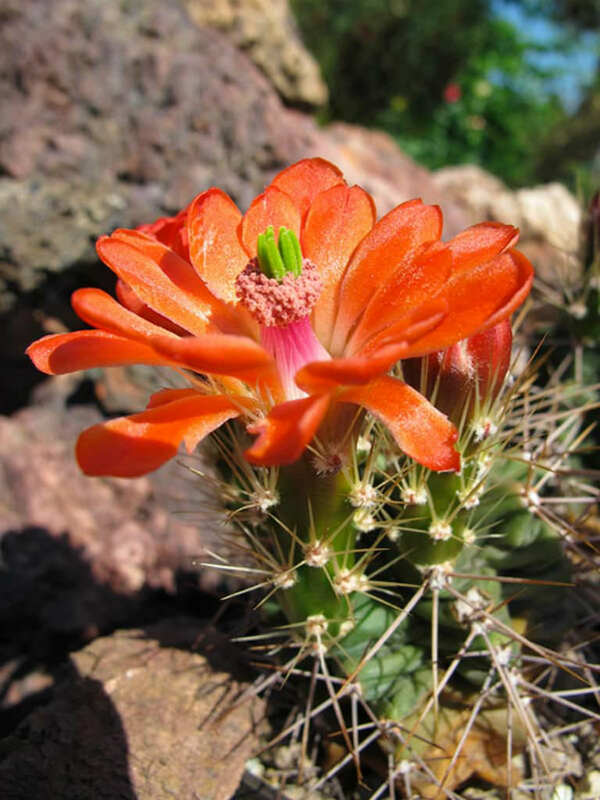 Flowers are up to 3 inches (7.5 cm) long, color ranges from near orange, scarlet, and pink to deep crimson shades. Fruiting 2-3 months after flowering. 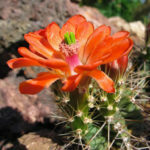 Native to southwestern United States (Arizona, Texas, New Mexico, Colorado, Utah, Nevada, California) and Mexico (Baja California, Sonora, Coahuila, Chihuahua).